Should the St. Louis Blues Bring Back Jay Bouwmeester? 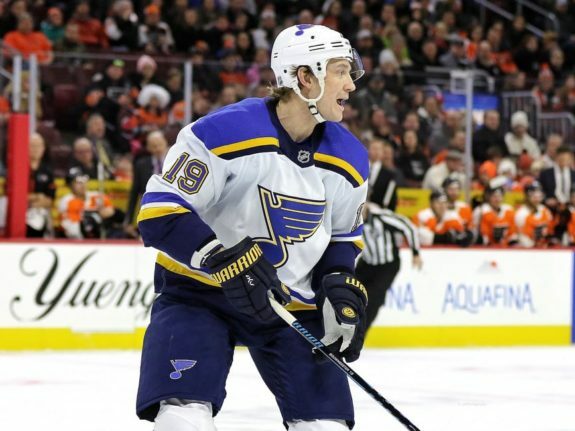 Should the Blues Bring Back Bouwmeester? Several months ago, many St. Louis Blues fans were counting down the days until veteran defenseman Jay Bouwmeester’s contract came to an end. But as with so much else for the Blues, the blueliner’s campaign has been a tale of two seasons. The turnaround has led to some wondering whether the team ought to offer the former third-overall pick a contract extension. It’s a tricky question with a complicated answer, but it’s worth taking a look. Early in the season, Bouwmeester was a liability. He was slow, ineffective and typically hurt his team more than he helped it. Fans believed that age had finally overcome the 35-year-old former league iron man, and that the clock was ticking on his days in a Blues uniform. What the fans did not know, or perhaps underemphasized, was that Bouwmeester was still recovering from major hip surgery. His 2017-18 campaign came to an early end after he underwent surgery on his left hip, an injury he’d tried to play through for a part of the season. It was an injury with which he was very familiar. That’s what he tried to do, but in hindsight, it appears he wasn’t 100 percent by the beginning of this season. Fans did not necessarily know it, and therefore were understandably agitated by his poor play. It was nearly a given that the team would let the veteran walk in the offseason. Then, something incredible happened: Bouwmeester started to play better. On Dec. 11, he had a minus-14 plus/minus, a low point in his season. In fact, according to Sean Tierney (@ChartingHockey on Twitter), that was around the low point for the entire Blues season. But things began to turn round there for both the team and their lefty defenseman. Since that nadir, Bouwmeester’s play has consistently improved. He’s looking more like the top-pairing defenseman the team traded for in 2013, and nothing like the shell of himself that played in the first few months of the season. He’s now at a minus-six, a considerable improvement from minus-14, and he’s averaging over 20 minutes per game. He even has 15 points, which ties his second-highest total in St. Louis. In December, I wanted Jay Bouwmeester gone. Ready to drive him to the airport. These days, he’s the best defenseman this #stlblues team has. When right, he’s a smart and sly player. I’d be up for a 1 year deal. Can’t believe I just typed that. The turnaround has shocked many fans of the team, and has caused many to call for a contract extension. With Joel Edmundson a pending restricted free agent, and Carl Gunnarsson probably leaving as an oft-injured unrestricted free agent, there is a strong case for bringing Bouwmeester back, but is it a prudent moves for the Blues? There is both a sentimental and a logical argument for bringing Bouwmeester back. Sentimentally, it would be nice to keep him with the team. He’s a veteran and a soft-spoken leader who has served St. Louis well in his time with the team. Logically, the Blues will need a third left-handed defenseman to join Edmundson (assuming he signs an extension) and Vince Dunn. But are those arguments enough to make the deal worthwhile? Let’s take a deeper look at the defenseman, focusing on a metric called defensive point shares (DPS). This stat is calculated to estimate a player’s impact on his team’s place in the standings, and Bouwmeester’s score is a 6.3 (0.1 above Edmundson). As seen in the chart below from hockey-reference.com, that puts him in some great company. This view of Bouwmeester’s contributions on the season explains just what kind of an impact he’s had. The 6.2 mark is even more impressive considering how poorly he performed early in the season. Joining names like Jake Muzzin, Victor Hedman, Jacob Trouba and Seth Jones, who are all in that same DPS neighborhood, there’s no question that he has some gas left in the tank. But what would his contract look like? Conveniently, we have a great comparable in his DPS range: Ron Hainsey. The Toronto Maple Leafs defenseman has been somewhat unfairly maligned by fans this season, but his 6.3 DPS shows that he’s still reliable in his own zone. In fact, he is top-five in the NHL in plus/minus, at plus-30. 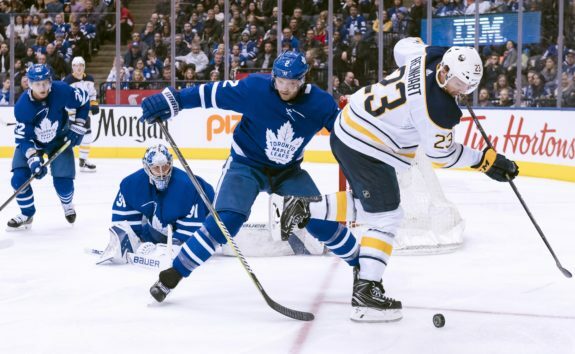 Hainsey signed a two-year, $6 million contract with the Maple Leafs as a free agent two seasons ago, when he was the same age (35) that Bouwmeester is now. Granted, he was coming off a Stanley Cup winning performance in which he was second on the Pittsburgh Penguins in ice time, but with the increase in salary cap, might an extension for the Blues’ lefty resemble the extension Hainsey signed two seasons ago? The Blues need to make a decision about Bouwmeester, and that decision depends heavily on two questions: what is Bouwmeester willing to sign for, and are the Blues satisfied with the defense they have on the left side? They’ll need to answer the second question first. If they want to improve on the left side, they’d be wise to let his contract expire and pursue a bigger fish, either through trade or in free agency. But if they’ve been satisfied with the play of their current group, there is no reason they should not bring Bouwmeester back at the right price. They will want to use Hainsey’s contract as a ceiling: the deal should not exceed two years or a roughly $3 million AAV. But if their veteran is willing to sign under that, then perhaps we’ll see number 19 on the ice in a Blue Note for a few more seasons.